Looks good. Still needs critical mass. Ben. The first Pre breathed new life into Palm. The Pre 2, on the other hand, didn't exactly have the same luster and longevity. Here's to a decidedly Palm-less round three. The QWERTY slider with the all-too-familiar form factor has a 3.6-inch 800 x 480 display (a marked improvement over past Pres), 5 megapixel camera with AF and LED flash, 720p HD video, a front-facing camera for video calling, mobile hotspot, and webOS 2.2. Under the hood? A Qualcomm MSM 8x55 CPU running at 1.4GHz (! ), 802.11a/b/g/n 5GHz, Bluetooth 2.1 + EDR, A-GPS, a 1230 mAh battery, HSPA+ and EVDO Rev A -- yep, it's a world phone -- and the same RAM as the Pre 2 (that's 512MB DRAM). It'll be Touchstone compatible, naturally, and will switch to Exhibition mode when docked to show pictures and upcoming appointments. There's some interesting synergy going on where the TouchPad tablet can take Pre 3's phone calls, and just touching the two devices together will let you share URLs (aptly titled touch-to-share). This one's gonna keep you waiting, though -- availability is this summer with both 8GB and 16GB storage options. Update: HP Pre 3 first hands-on! 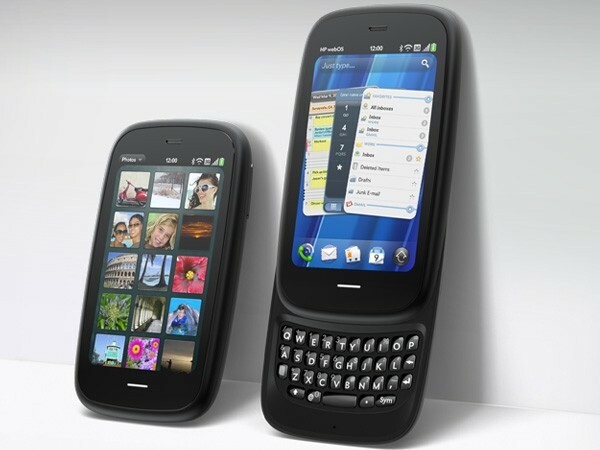 | Palm Pre 2 vs. HP Pre 3: what's changed?